Relocating to San Diego for work, school or in search of better opportunities? Team Aguilar is a full-service real estate brokerage that specializes in helping families and individuals relocate to the San Diego area. Relocating to a new city can be difficult - especially if it's to a city you're not familiar with. It can seem overwhelming at first. Common worries include settling into your new neighborhood, finding your way around a new city, putting your kids in the right school and so on. We understand the emotional and financial impact of uprooting your family and possessions from familiar surroundings and starting a new life in an unfamiliar location. 27 Reasons We Love Living in San Diego - be sure to check out all the reasons we think you are going to love living in San Diego. Our goal is to help relieve you from the time and stress associated with moving to a new city. We know San Diego inside and out and our knowledge is what we want to use to help reduce the time and headache associated with your move. Team Aguilar REALTORS® will quickly familiarize out-of-town buyers with the intricacies of the San Diego real estate market. We can quickly identify the San Diego communities best suited to your unique lifestyle and financial requirement. We do all the market research for you, pinpointing the neighborhoods and properties you should be looking at during your house-hunting trip to San Diego so you can find your dream home in the least amount of time. Whichever steps you take, make sure you're working with a licensed San Diego based REALTOR®. 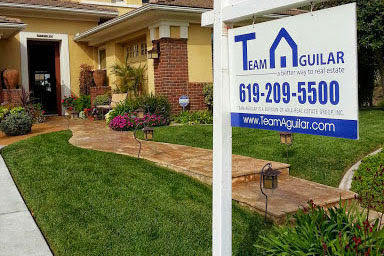 Team Aguilar agents are San Diegan natives who raised their families here and know the area. Our agents work tirelessly to ensure a smooth and stress free relocation process. We know how difficult moving into a new home can be – especially when that new home is located in a different city, state or country. We have a lot of experience with international clients, we are well positioned to help you and your family settle into your new San Diego home. 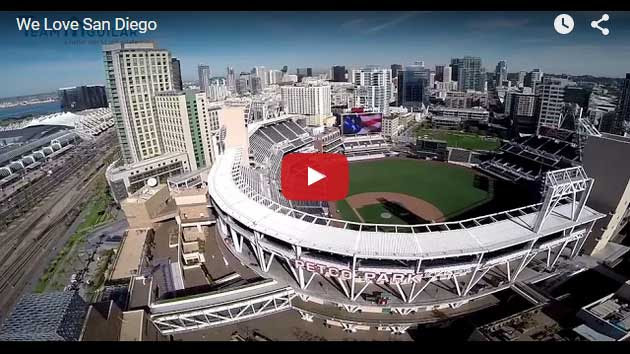 We know that you'll love living here in San Diego! The age old question when moving to a new locale: Are you going to be buying or renting? If you're looking to rent the best option for searching continues to be online classifieds such as Craigslist San Diego or the Apartment Guide , but you must be aware of scams which are sadly all too common. Any management company advertising a rental is required to provide their BRE license # in any advertisement. You can verify that you are working with a licensed BRE management agent or company by verifying their license here. Remember that you should never send any money without meeting someone in person and verifying that they are in fact the owner of the property or are authorized to manage the home. Remember that if something seems too good to be true it probably is! If you’re in San Diego and need something longer than a brief hotel stay but aren’t yet ready to sign the lease on an apartment just yet, then a short term rental is the answer to all your prayers. Extended Stay America is a good option for weekly and up to a month long stay (anything longer than a month and you should really be looking at renting an apartment). It's typically a hotel with a small kitchen and 1+ bedroom options making it comfortable for up to 4 people. If you think you may go beyond a month and need short term housing we would suggest looking at the short term apartment rentals that are furnished in the Apartment Guide mentioned above. This option will offer more comfort and be an excellent option for 1-2 months. Note to renters: we normally don’t work with renters but are happy to provide the relocation guide to you absolutely free. We also encourage you to use the information below as it will help you in your search for renting a home or apartment in San Diego County. If you're ready to speak with one of our relocation experts get in touch with us by calling or completing the contact us form that can be found on the right side of this page. The information below will be very useful to anyone moving to America's Finest City! Where you live has a profound effect on every aspect of your life - your daily commute, your child's school, your property taxes, home's resale value - the list is endless. Picking the right neighborhood for you and your family is one of the most important aspects of relocating to San Diego. Explore our extensive San Diego buyer's guide, which has everything from home buying tips for first time homeowners to sound business strategies for seasoned investors. Also check out our extensive MLS search page for every listed property in San Diego Country or, alternatively, search by map. Want immediate answers? Give us a call! San Diego has always boasted a strong job market with enviable unemployment numbers when compared to the national average. Surrounded by a trio of highly ranked universities - UC San Diego, San Diego State University, and University of San Diego - and home to a thriving biotech industry, San Diego has never had any trouble attracting top talent. The presence of five military bases and the largest land-border crossing with Mexico also plays a major role in boosting the local economy. The San Diego Unified School District is the largest and covers most of the city San Diego. The rest of San Diego County and its outlying regions are served by almost 50 separate school districts. Higher education is provided by three renowned public state universities, two private universities, and five community colleges with campuses throughout the city. For demographic and performance information on all the school districts that serve Greater San Diego please visit the Education Data Partnership website and search for "San Diego". Most people in San Diego commute by car. On a typical day, most areas of San Diego can be reached in 20 minutes or less using the freeway system, which include I-5, I-805, I-15, and I-8. Traffic tends to get backed up during rush hour. Also, since the weather is usually dry a small amount of rain can cause congestion on the roads. 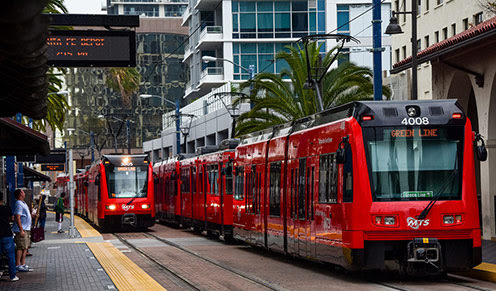 As far as public transport goes, the Metropolitan Transit System handles bus and trolley services covering most areas of San Diego. There are 53 trolley stations and 89 bus routes. There is also The Coaster, a scenic commuter train that runs from Oceanside to downtown San Diego. San Diego International Airport serves nearly 40,000 passengers every day and is located in the heart of downtown. San Diego Gas & Electric is the main player, serving all of San Diego County. The City of San Diego Public Utilities Water Department handles the city's water supply. Waste Management and recycling services are the responsibility of Waste Management of San Diego. Three major companies handle the internet and phone needs of the city: AT&T, Time Warner Cable and Cox Communications. A move to a new city will require a trip to the DMV to update your license and vehicle registration. No one looks forward to spending an entire day waiting in line at the DMV, so these tips will save you a LOT of time: 1. Use the online DMV scheduler to set an appointment. This will likely save you at least an hour if not more of having to wait in line. 2. AAA members can visit their nearest Triple-A branch for DMV services. AAA offers the following DMV services: registration renewal, vehicle stickers, license change of address and vehicle transfer of ownership. The United States Postal Service has 25 locations across San Diego, so chances are there's one near your neighborhood. Many postal services are also found online to save time, including online change of address forms. 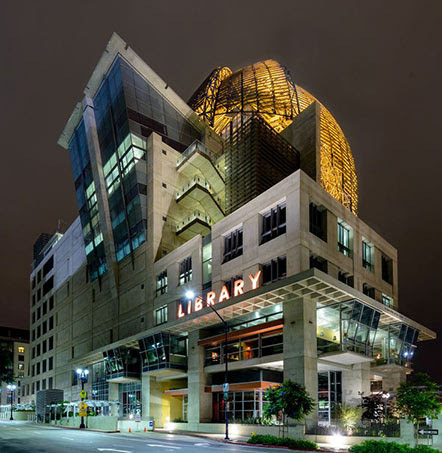 The San Diego Public Library has 36 branches and serves all regions of San Diego. In addition to public libraries, books and reference material are also available at University of California San Diego and San Diego State University. Newly arrived immigrants to San Diego will be interested in citizenship preparation materials, and English learning materials available at all Public Library branches. The three major hospital networks in San Diego are Sharp, Scripps, and the UCSD Health System. Each offers emergency care facilities, the full spectrum of medical services and specialist doctors. Hospital and clinic locations can be found throughout the city. You can precinct locations of the San Diego Police Department at their website. Emergency fire services are provided by the San Diego Fire-Rescue Department throughout the city from 50 fire-stations. In addition to fire protection they also handle community outreach events, fire safety seminars and educational programs. 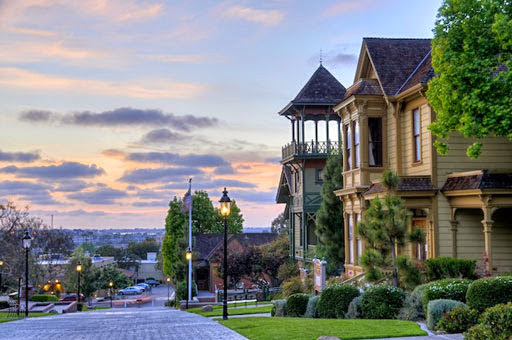 For more detailed information on the many wonderful communities that make up San Diego, check out our community guides page for San Diego County. We have captured literally hundreds of videos over the last few years and they are all available for viewing on our YouTube channel. You can search by city and view all of our local city tours and video guides. These should really help you get more familiar with San Diego especially if you have never visited. 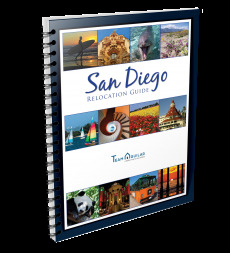 Download our detailed 57 page San Diego Relocation Guide pdf. It covers a lot of the material on this page, only in much more detail! We provide this booklet as a free service to our valued clients.